Don Zimmer passed away last night. It’s difficult to be a baseball fan and never have heard of the man, even if I never did pay very close attention to him. He’s like the foul pole on the baseball diamond: most of the time, nobody pays attention to it, but everyone knows it’s there, and it stands out and makes its presence known in its own way. I will forever remember him as the man who sat next to Joe Torre in the Yankees dugout. Reading the stories about Zimmer this morning, however, has my interest particularly piqued. He married his wife on a baseball diamond in between the two games of a double header. He played for the Brooklyn Dodgers World Series championship team and accumulated twelve years in the Majors, primarily as an infielder. He spent thirteen years as a manager and was named the NL’s manager of the year in 1989, when he led the Chicago Cubs to a division championship. Zimmer lived and breathed baseball. Every year, he wore a new jersey number, changing it to reflect the number of years he spent in baseball. This year, he wore number 66. As a player, Don Zimmer hit .235 with 91 home runs and 352 RBIs in 1,095 games. Not stellar numbers, perhaps, but his biggest impact on the game came as a coach and an advisor. Zimmer’s passion for the game knew no boundaries, and even at the age of 83, he still served as a senior advisor for the Tampa Bay Rays. It feels strange, now, to be writing this, as if I had always followed the man, because I didn’t. I guess for me, and for a lot of people, Zimmer was a given when it came to baseball. 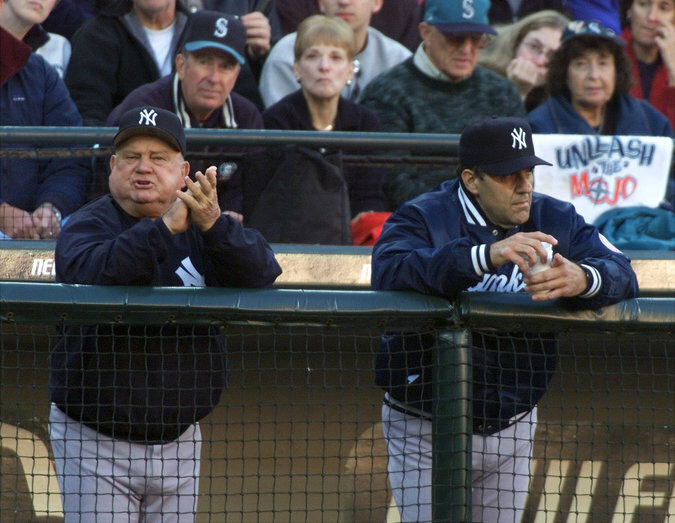 For as long as I’ve known about baseball, I’ve heard the name Don Zimmer, and I now find myself struck with the realization that he, too, was merely mortal. Farewell and rest in peace. Zimmer’s habit of how many years have I been on this planet? So freaking gorgeous. Baseball was very kind to him with the uniform as calender. Baseball is such a powerful force for us fans and players and everyone who hops on board. It’s a long strange trip indeed. It is, very much. Today I had the thought, “This is the first day that I’ve been alive when Zimmer was not in baseball.” But I guess a part of him will ALWAYS be in baseball.